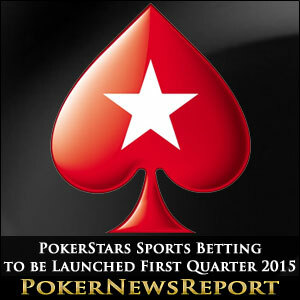 According to a press release from Amaya Gaming, a sports betting platform will be launched on the PokerStars client during the first quarter of 2015. Back in June 2014, Amaya´s Chief Executive Officer – David Baazov – told the world that he intended to introduce new verticals on the PokerStars client including a casino, a social gaming platform and a sports betting service. Baazov predicted that the addition of new verticals would introduce PokerStars and Full Tilt Poker into a market worth $25 billion a year. The rollout of the casino on the PokerStars client was completed in December, and the software is in production for the PokerStars´ Casino to be available in browser-based “instant play” and mobile versions later in the year. PokerStars has for a long time had apps that can be used for social gaming including the award-winning PokerStars “PLAY”. So, the only item remaining of Baazov´s list of verticals was a sports-betting service and, in November, a sports-betting trading team was put together with the aim of launching a product “some time” during 2015. Now – according to a press release from Amaya Gaming – we know that the sports betting service is intended to be introduced to the PokerStars client during the first quarter of 2015. PokerStars sports betting service is initially going to be launched in only a small number of regulated markets, with expansion to the .com and .eu domains coming later in the year. The most likely candidates to get the platform first include Spain – where the company estimates it already has 10% of the online casino market despite only having launched the casino platform in October 2014. It is yet to be confirmed which partner will be providing the software for PokerStars´ sports betting service, but Amaya already has an agreement in place with Offsidegaming – a B2B subsidiary of sportsbook operator OffsideBet – which offers betting opportunity on a comprehensive range of sports events and include “in-play” betting in its portfolio. 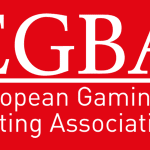 In addition to providing an update on the progress of the PokerStars´ casino and sports betting platform´s, Amaya´s press release reported on developments in Asia and some of the awards that had been won by PokerStars and Full Tilt Poker at the IGA Gaming Apps Awards and eGaming Review Operator Awards last November. There was also a significant part of the press release dedicated to the “Inside PokerStars” videos that have been made “to increase transparency in its operations and instill additional understanding and trust in the online gaming industry with the latest in a series of videos dispelling industry myths and answering key consumer questions about issues including account safety, game integrity, fund protection and other critical industry issues” (now breathe). The most recent of the videos was used to illustrate the amount of work that is involved in monitoring action on the site. The press release claims that PokerStars deal 700 hands of poker every second of every day and that are as many as 20,000 hands being played at the same time (which is probably true if you could tournaments and play money games as well). PokerStars also hosts 3,500 scheduled tournaments every day (again, count the play money games), and pays out more than $25 million each week in guaranteed tournament prize money. To emphasise the popularity of online poker, Amaya reports that PokerStars once had 481,488 players seated on the site at the same time, and points out that this is more than the population of Sacramento, California.